Egypt was the top recipient of official development assistance (ODA) in 2013 at $US 5.5 billion, said United Nations report on Friday. The report, titled “Taking Stock of the Global Partnership for Development”, was prepared by the Millennium Development Goals (MDGs) Gap Taskforce to track the five core domains of the global development, namely market access, debt sustainability, Access to affordable essential medicines And to new technologies in middle and low income countries from 2000 to 2015. It added that developed countries provided of 0.3% of their gross national income (GNI) in assistance to developing countries, an increase from $81 billion in 2000 to $135 billion in 2014. Of the total 148 countries and territories, 10 countries received 37 percent of total net ODA. Egypt topped four of the middle-income countries, including (Egypt, Viet Nam, the Syrian Arab Republic, and Turkey) receiving the aid. The Millennium Development Goals of 8 goals have been set at the Millennium Summit of the United Nations in 2000. The goals include the elimination of hunger and extreme poverty, achieving universal primary in education, promoting gender equality, reducing child mortality, improving maternal health, combating AIDS and malaria, ensuring environmental sustainability and establishing of an international partnership for development. 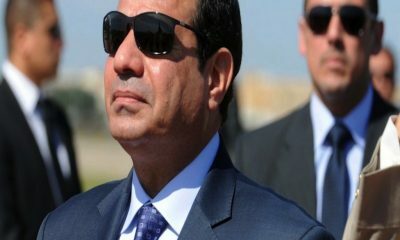 Egypt saw a surge in aid transfers from the Gulf following 30 June 2013, when protests broke out against the rule of former Islamist president Mohamed Mursi. The volume of Egypt’s foreign aid has reached $16.7 billion during the fiscal year which started on July 2013 and ended June 30, 2014, according to Egypt’s 2014-2015 financial budget report.